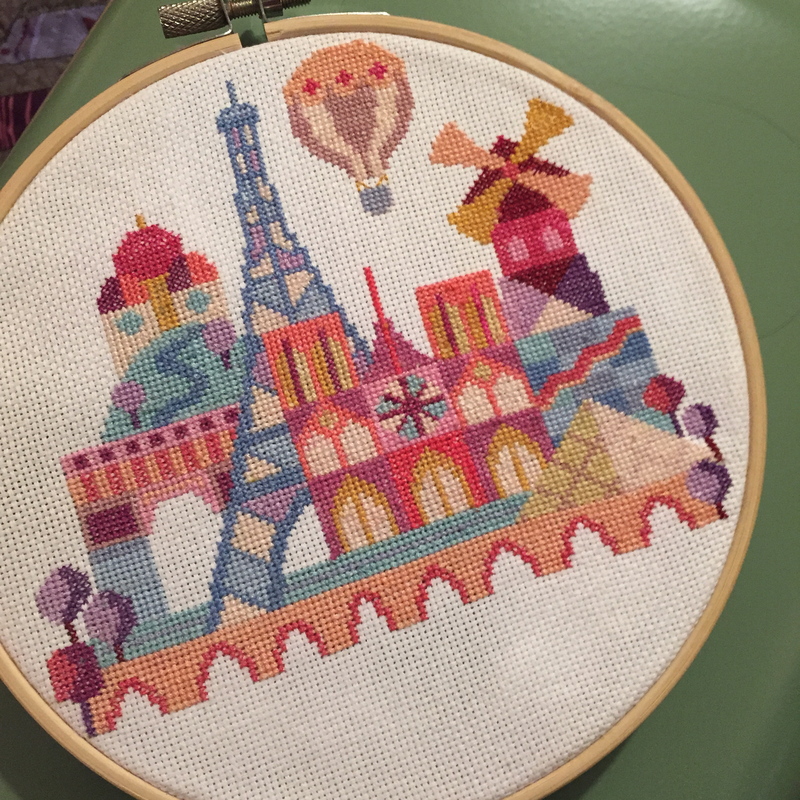 I have finished the Pretty Little Paris cross stitch pattern by Satsuma Street. This took me a long time, but so worth it. This is such a sweet pattern. My favorite bit is… well, all of it. Just so adorable from top to bottom. Just look at the sweet hot air balloon !! Now I have to figure out what to do with it – specifically how to display it. And, what to work on next? I have purchased the patterns for Pretty Little Italy and Pretty Little London, but of course what I really want to work on is a pattern I haven’t purchased – Pretty Little San Francisco.